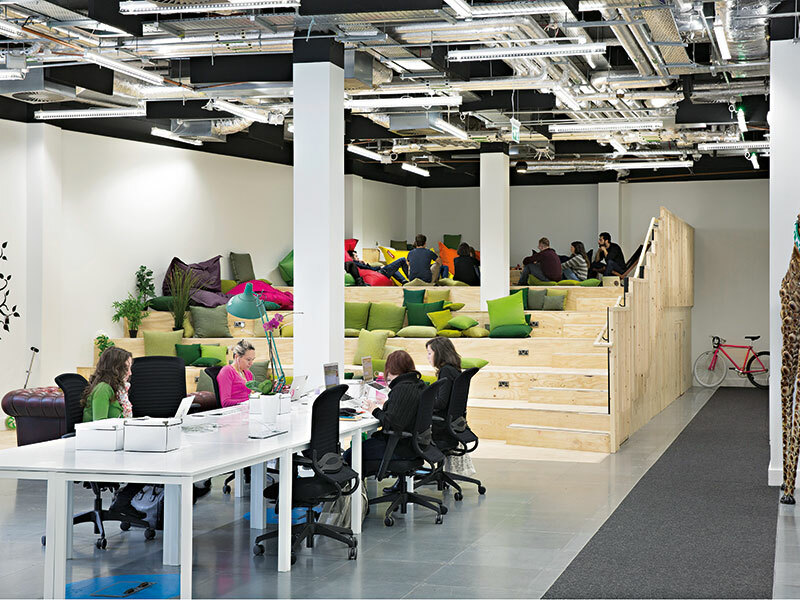 The open-plan office is ubiquitous and instantly recognisable. Row upon row of desks separated by low partitions is the natural environment for the majority of the world’s office workers. Being alone in an office almost always means someone has ascended to the pointiest end of the corporate pyramid, or is still working after everyone else has gone home. But despite its popularity, there is a growing body of evidence suggesting the open-plan office might be doing more harm than good. Research indicates that, despite the best intentions of the design’s creators, open-plan offices can decrease employee productivity, health and happiness. In response to mounting evidence and growing employee discontent, some businesses are beginning to adopt new ways of arranging workers. Heavily influenced by increasingly mobile jobs, even the idea of a personal desk may soon become a relic of the past. For the open-plan office to survive, it needs to be reimagined with thoughtfulness and focus. 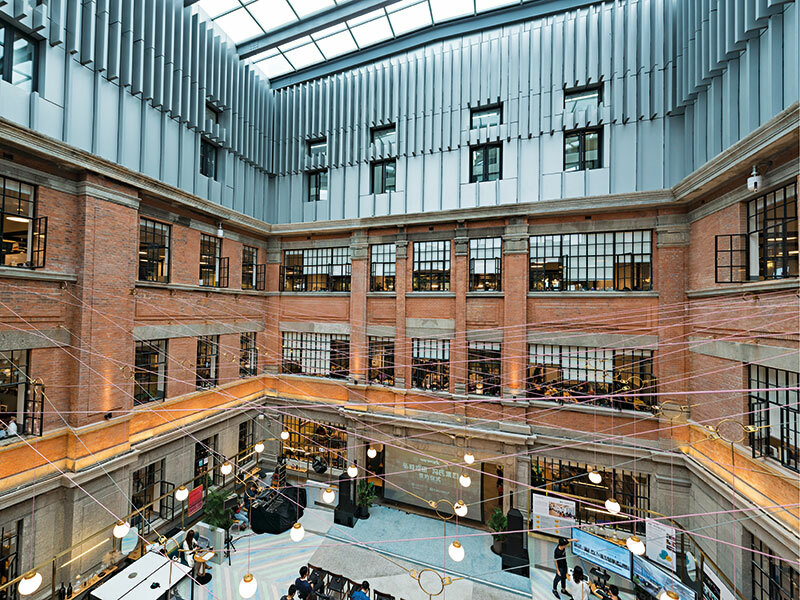 The origin of the open-plan office can be traced back to a desire for a mix of greater efficiency and collaboration among workers. Between the late 19th century and early 20th century, the Efficiency Movement took hold, with many business thinkers looking for ways to streamline society to increase productivity. Mechanical engineer Frederick Taylor took this movement to US workplaces; his solution was rows and rows of desks, with managers looking on from corner offices to oversee work. While it meant a huge number of workers could be crammed into one room, the noise and ‘production line’ layout hindered individual productivity and fostered discontent. The 1950s saw the development of the modern open-plan office. Designed to discourage top-down management structures and represent more socialist values, German design group Quickborner developed Bürolandschaft. Meaning ‘office landscape’, the design philosophy saw desks being emancipated from their rows and instead arranged organically according to working groups. The idea was it would lead to ambient collaboration; people would overhear their colleagues and might chip in with their own thoughts that would otherwise have never been considered. Business leaders Michael Bloomberg and Carlos Brito both favour a desk out in the open over a cloistered private space for this reason: to be more approachable and part of the team. Of late, research has not been kind to the open-plan office and its proclaimed benefits for employees. In fact, some open-plan offices have come to embody the opposite of what they were originally meant to. In terms of communication, open-plan offices can prompt too much of a good thing. Since everyone is always approachable, workers often have their attention called away by multiple small, additional tasks. These momentary distractions add up to a large decline in productivity over the course of a day. According to research conducted by Ipsos and Steelcase’s WorkSpace Futures team, office workers are losing a total of 86 minutes every day to distractions. While some distractions may only be for seconds, the study also stated it can take up to 23 minutes to return to a fully focused state of mind. All of this has a domino effect in regard to employee health. A 2009 study from Queensland University of Technology’s Institute of Health and Biomedical Innovation found employees in open-plan offices suffered greater instances of conflict, higher blood pressure and a larger number of sick days. The layout also leads to low productivity due to the ambient noise present in office environments. Naturally, considering these factors, many businesses have allowed their staff to work from home. Laptops have allowed employees to be mobile while still working, and many see the living room as a more productive environment than the office. As such, it’s easy to see a future where the majority of workers operate from home. However, the latest trends in office design are creating a new kind of space to work in. Additions like these are part of the way designers and companies are working to make offices more appealing places to visit every day. Spaces are also being designed to mitigate noise by using smarter acoustics and considering how employees and teams interact. When combined with designs that consider the way offices are used, this can help them become places that people enjoy, rather than tolerate. While more intelligent and thoughtfully designed open-plan offices can solve problems, many businesses have instead turned to more radical solutions to appease employees. Hybrid and flexible offices are designed to include different spaces for different tasks, allowing employees to, for example, work in a soundproof room for tasks that require concentration and on a couch in a common area for checking emails. In its most extreme form, popularised by co-working spaces like WeWork, employees do not even have their own permanent desks. The design also gives companies a lot of scope for expansion without completely redesigning their offices. As well as allowing employees the flexibility to choose the environment that is best for the task at hand, Chandler said hybrid offices also allow for more effective use of space: “When we ask our clients to report how their space is being used, they often overestimate office capacity by 20 percent and meeting room usage by 30 percent. Though the modern office employee often finds they would be able to do their job from home, and may be tempted to do so, the traditional idea of an office has some life in it yet. With more modern and thoughtfully designed spaces that are capable of more than just work, businesses can build offices that are ready for the future.